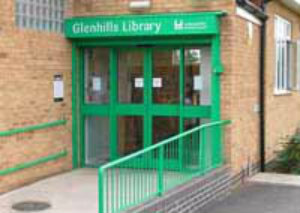 The parish council at nearby Glen Parva will take over Glenhills library from the County Council on Monday 28th September 2015. The library – in Dorothy Avenue, Glen Parva – was temporarily closed over the last few weeks to prepare for the changeover. The opening of the Community Library comes as Enderby’s own library project appears to be on track for opening in the first quarter of 2016. An announcement on the Enderby Community Library is expected following a County Council Cabinet meeting on October 7th. “This has been an exciting project for us. “After a daunting start several months ago, it’s gathered momentum, thanks to the sheer amount of volunteers who have come forward to staff the library and our new Park Café. “The library used to be open for just 13 hours a week and we now plan to open for 36 hours, with the café open every morning till 12.30pm. 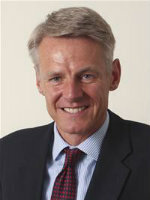 Glenhills library will be managed by a steering group made up of around 50 volunteers and parish councillors. It will offer new possibilities to hold events for the under-fives and older children, and adult IT classes with many other ideas in the pipeline. Profits from the café will help to meet the running costs of the library. More information about Leicestershire Libraries, see www.leics.gov.uk/libraries.